Join us in Portland, Maine for our 5th Annual Holiday Art Sale! This year we are expanding our offerings to include beautiful horn jewelry, crafted by Haitian artists. 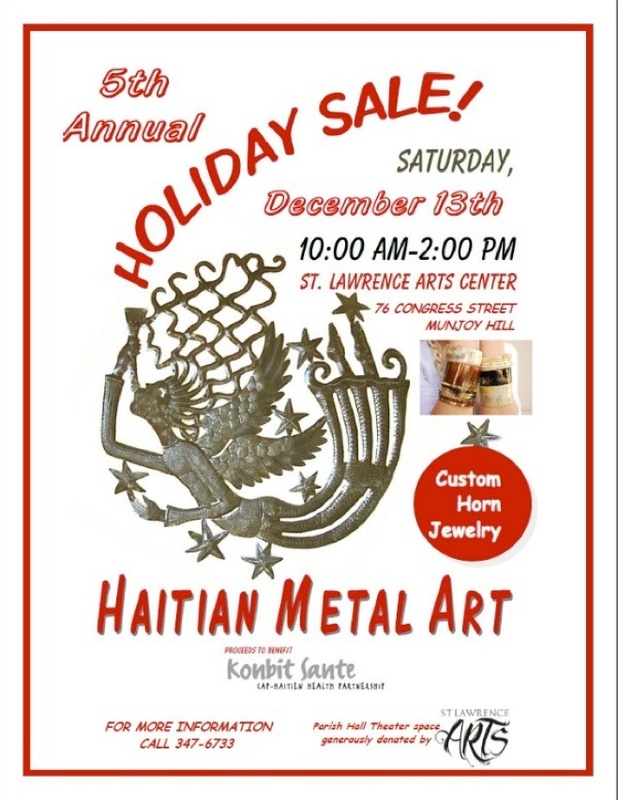 We will also have a very wide selection of Haitian metal art, and new offerings and unique pieces that have not previously been available for sale. The Holiday Sale will take place Saturday December 13th, from 10 AM - 2PM. All proceeds go to support Konbit Sante's programs in northern Haiti and to support the artists and craftspeople who created these beautiful works of art.